A hammock and a book. What would happen if the women in classical paintings suddenly were thrust into the modern era? This image series by Alexey Kondakov imagines just such a juxtaposition, and dang if it isn't stunning. I would buy these for my wall. 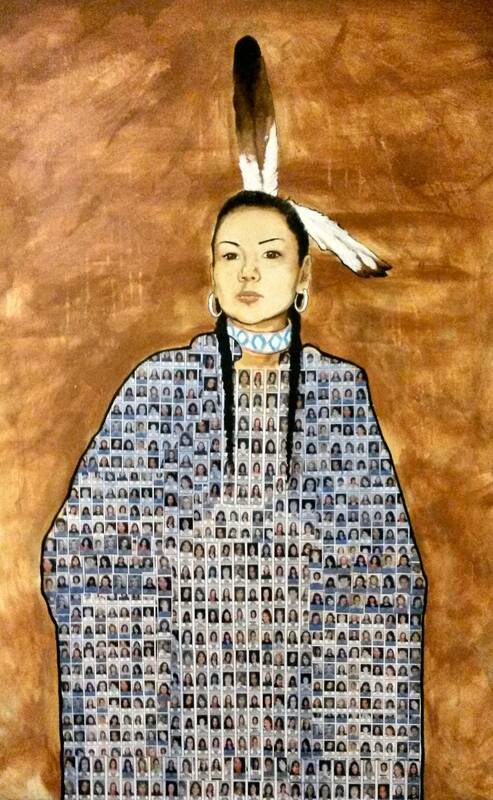 Labillois donated this piece to the Montreal Native Women's Shelter. Punch The Devil HIMSELF in the face! You and The Virgin Mary, anyways. Just in case you still think that pregnant women should be confined to their beds and avoid physical activity, watch Ciara (among other things) jump a couch while dancing her belly off to Whitney Houston's "I'm Every Woman". "The simple truth is this: When things are bad, all you can do is what you can do." Check out this awesome blog post from Patrick Rothfuss on what he is doing and how he is coping with a big, bad world.